The months of good weather are the ideal time to polish the windows of the house because there is less chance that a shower will spoil the results. During the winter and the rainy months, the task can become impossible because the effort to leave the shining glass is usually not very grateful and of short duration. But, although at first glance it may seem like a simple job, cleaning the windows is something that usually makes us too lazy to perform. In addition to this, it’s a very boring task, but since it is a part of the house that gets dirty very often due to its exposure to pollution from the outside. It is a waste of time to buy different products for cleaning window. To save hours of cleaning and hundreds of dollar$ to your pocket, we bring you some small homemade tricks that will make your life easier when facing the cleaning of your home’s windows. Normally, multipurpose spray often works for glasses and windows in the house, so sometimes it is not worth buying products. 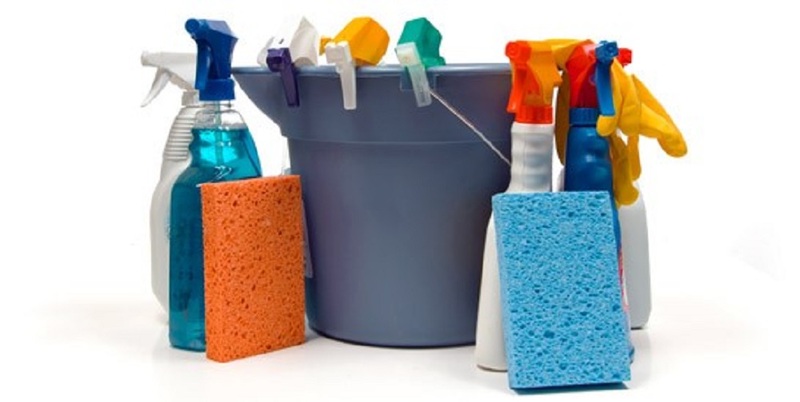 If you prefer to guarantee effectiveness by preparing the cleaner yourself, to prepare an effective cleaning formula, mix one part of white vinegar with three of hot water, and mix thoroughly. So you do not smell too much stick, you can add a few drops of lemon or lime which changes the smell of vinegar after a small time. Another effective cleanser is obtained by mixing 2 cups of water, 3 tablespoons of white vinegar and half a teaspoon of liquid detergent. These mixtures are introduced into a spray and you can clean the windows without any expense. Moreover, one more glass cleaner can be prepared by mixing water, a cup of alcohol to burn, a stream of ammonia and a pinch of dish soap. If you leave the mixture in a container with spray, you can use it every time when you wanted to clean the window glass. If you do not have all the ingredients, you can also use the alcohol alone or make a mixture of warm water with a good jet of water white vinegar. The results will be optimal in any case. The solutions that you throw to the window for cleaning must have times to catch all the dirt, therefore, always choose a cloudy day to clean the windows. If the day is very sunny it can cause the solution to evaporate prematurely and can leave very unsightly marks. The way to clean the windows without scratching them is to use old newspaper, never use new since the ink can stain. Paper is a miraculous trick because with it you can rub without fear of scratching the glass. In addition, the newspaper will leave a small invisible layer that will make your glasses more resistant to dirt. Moreover, for extremely dirty windows, it is best to use a porous sponge and clean from top to bottom to avoid dripping water. A microfiber cloth will help to polish the glass when it is dry, taking care that it does not release any lint that may be stuck to the glass. Another small trick is to clean the interior glass, inside the house, with horizontal movements, and the exterior glass with vertical movements. So, if you have left to mark or stripes, you will know which side you have to review without going crazy looking for the origin of the brand. Further, do not buy rags or cloths every two to three to clean the windows, use coffee filters to clean the window to avoid scratches and stains. Note all the tricks are just to clean the windows since the windows also have blinds that, being on the outside, often get dirty. To clean and keep them well, spray them with an antiseptic spray.